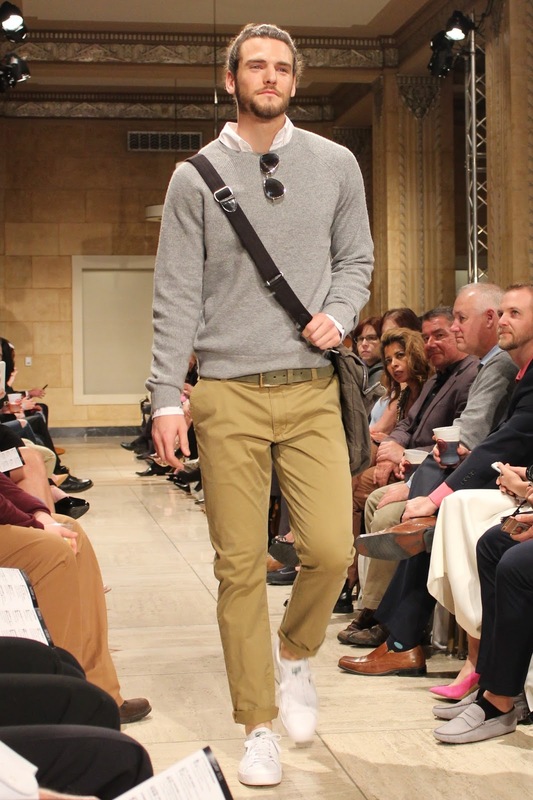 Thursday's Runway Event for Kansas City Fashion Week was such a blast! 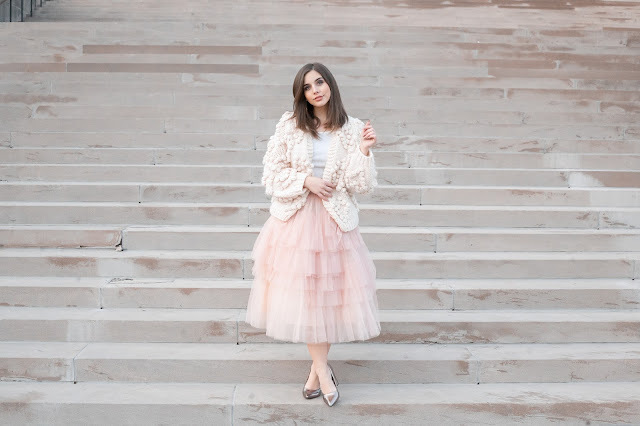 I had the chance to meet so many designers, photographers, and bloggers and the fashion was amazing. 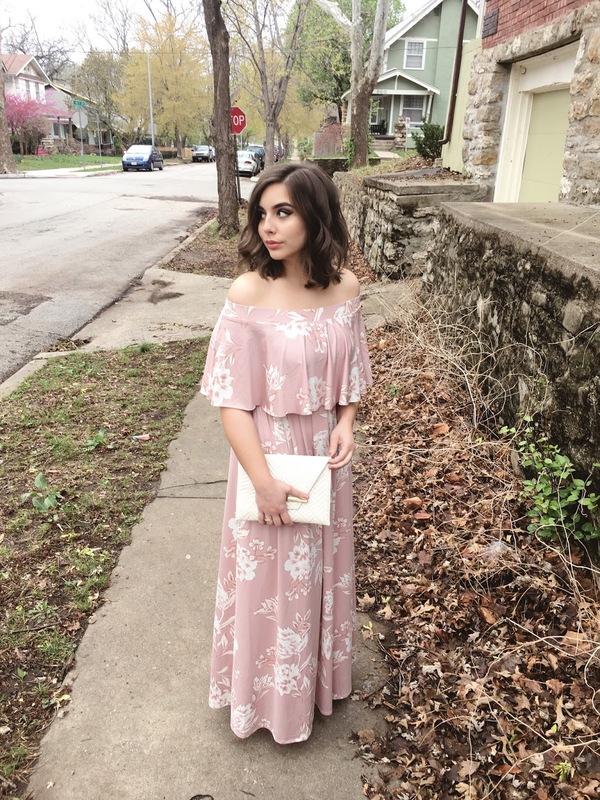 I chose a blush off the shoulder floral maxi from ASOS for the event and it was incredibly comfortable. One other big plus is that the fabric DOES NOT wrinkle. At all. Seriously. When I got it in the mail, I didn't have to do a thing to it, it was totally ready to wear! Mark this one down as the perfect travel dress! 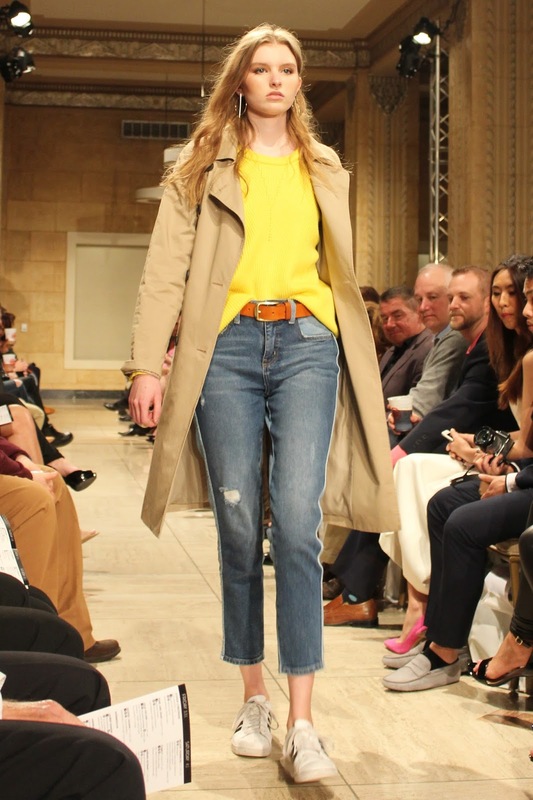 Read on for more details about the designers at Thursday's Runway Event! 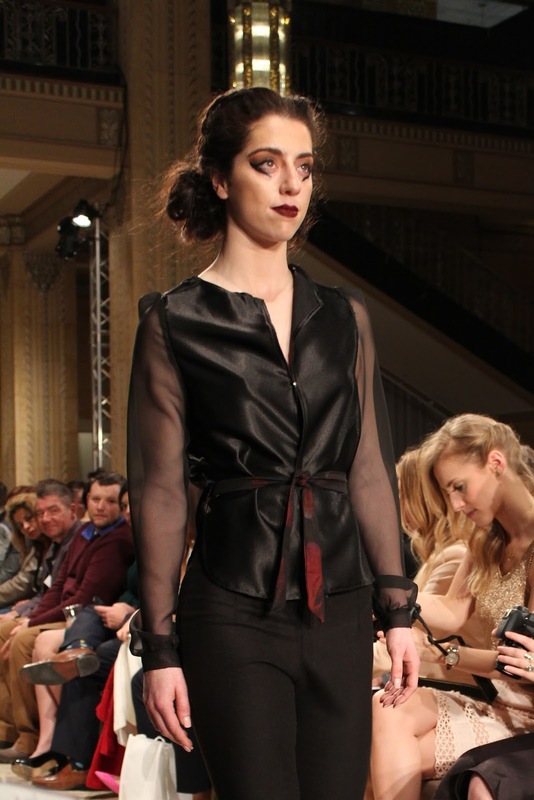 Roger Figueroa is a Kansas City based designer whose line at KCFW featured both men's and women's clothing. For the most part the pieces were fairly androgynous with the exception of a gorgeous floor length gown with a dramatic plunging neckline. 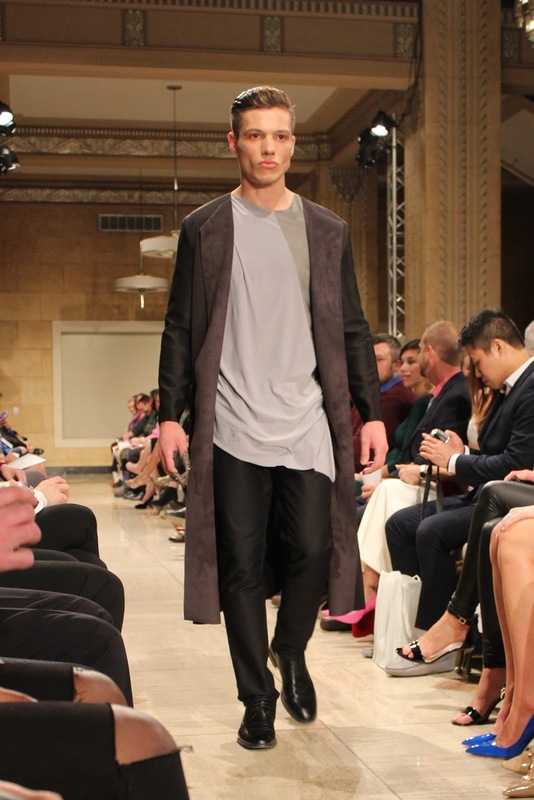 Some of the trends in his pieces were high necks, dark neutral tonnes, and beautiful draping. Wiki Wang's KCFW line was a display of modern elegance. Her motto of only designing pieces she would want to wear was apparent in the collection - each piece looked comfortable, well constructed, and intentionally designed. 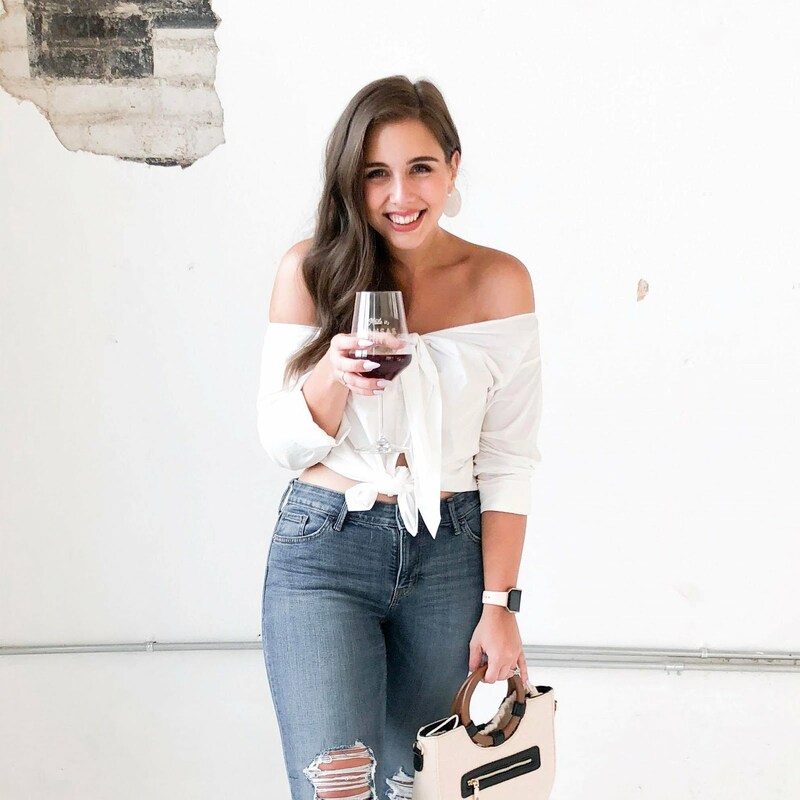 Red, blue, ivory, and black staple colors in the line and fun trends including flared sleeves, dropped waists, and off the shoulder necklines were included. 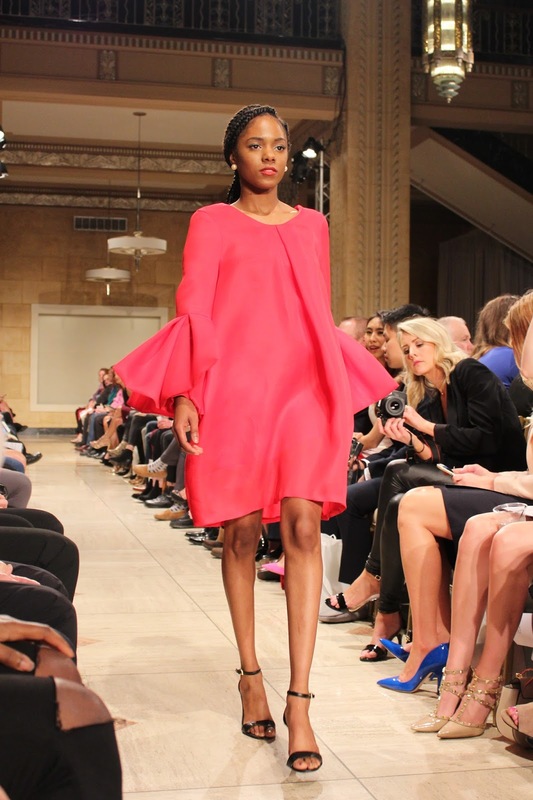 Amanda Casarez is a DC based designer with a love of bold colors, interesting textures, and contemporary aesthetics. 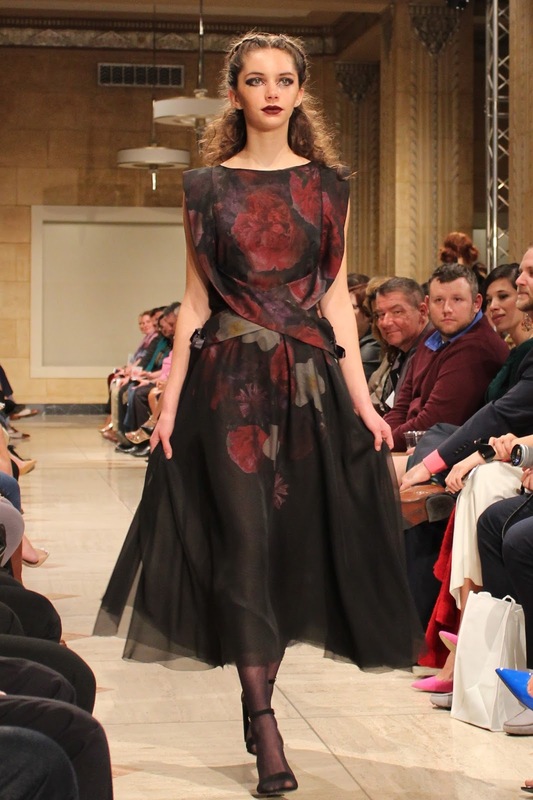 Her line at KCFW featured a wide variety of materials and textures including heavy knits and structured satin. 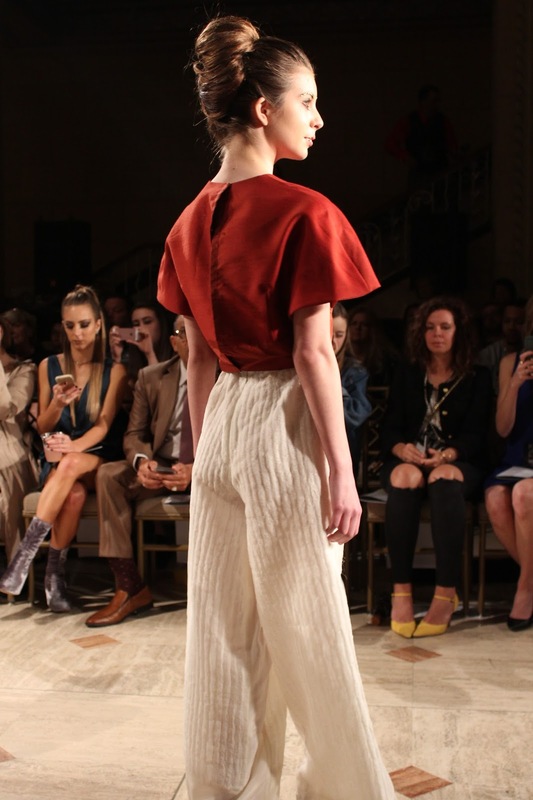 The silhouettes in her collection were very bold and clean and featured a wide variety of colors including reds, yellows, blues, and whites. 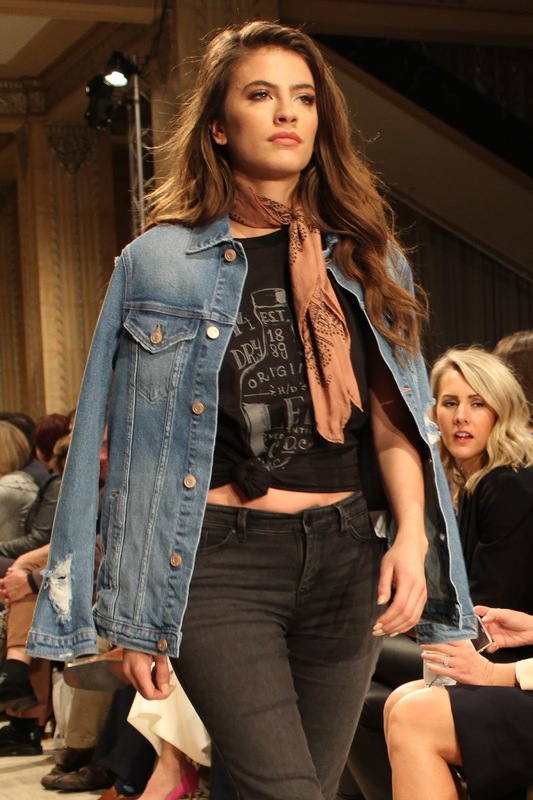 Madyssen Jean's KCFW embodied all things moody and floral and romantic. Black was the most prolific color in the collection with accents of dramatic reds and purples. Several of the pieces featured gold hand-stitched phrases that oozed drama in the best way. 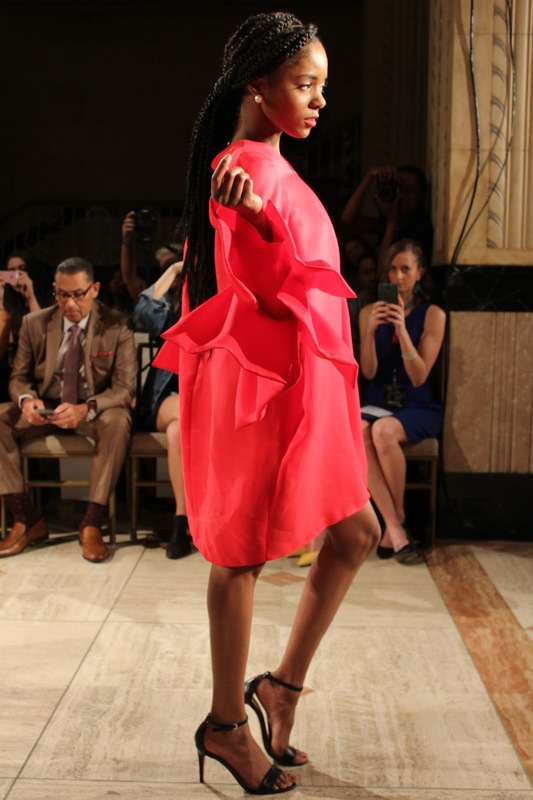 I really loved this collection - the fabrics used all contrasted and complemented each other wonderfully, the silhouettes were classic but edgy, and everything was just so break-up chic (yes, I just made that look up). Yes, you read that right. THE Lee Jeans. Maybe I was one of the few people who didn't know this but Lee Jeans is actually based in the Kansas City area! It was so much fun to see a brand I'd always known in a fashion show format and I got so many fun street-style ideas from their collection! 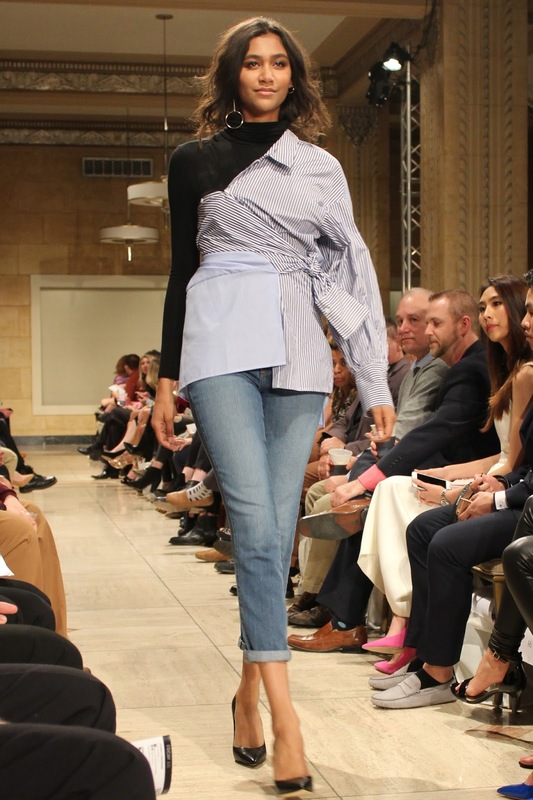 They featured a lot of traditional pieces but styled them in fun new ways, particularly the way they made a button up shirt into an off the shoulder layered look. 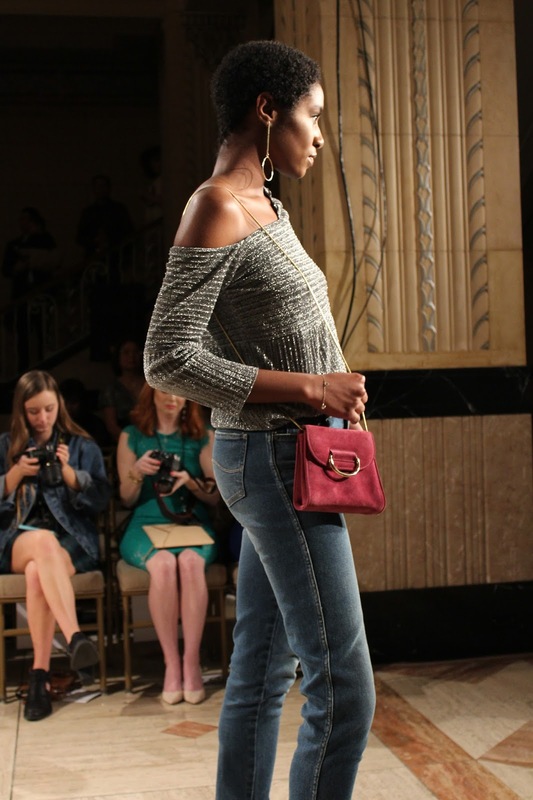 If you're looking for fall fashion day-to-day inspo, this is the line for you! What's black and white and chic all over? 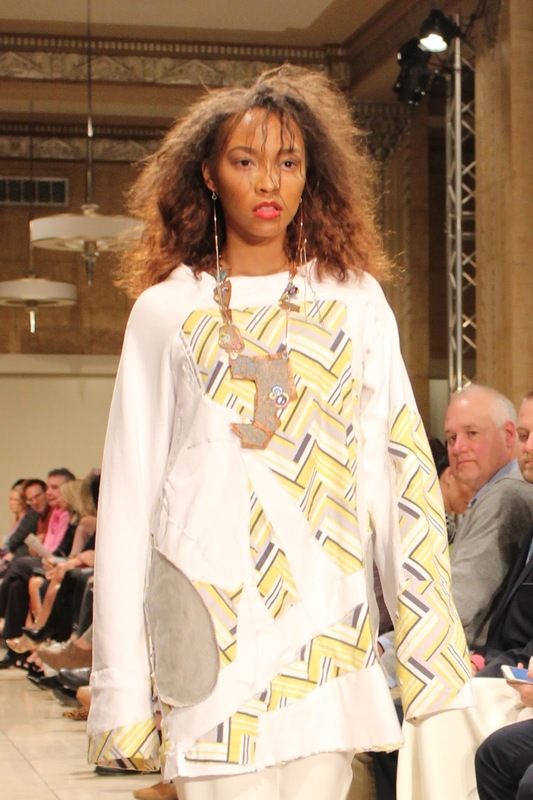 Definitely Noelle Designs' KCFW collection. First of all, she's only 16 which is phenomenal to me and her line was absolutely beautiful. The line featured a variety of evening gowns with silhouettes for every style. Each gown looked perfectly tailored and extremely well made. The details were my favorite part from gold accents to "painted" fabric to capes. I would wear any of these gowns in a heartbeat! Crystal Brakage Designs' Fall/Winter 2017 collection was named "Dark Elegance" and certainly embodied that theme. 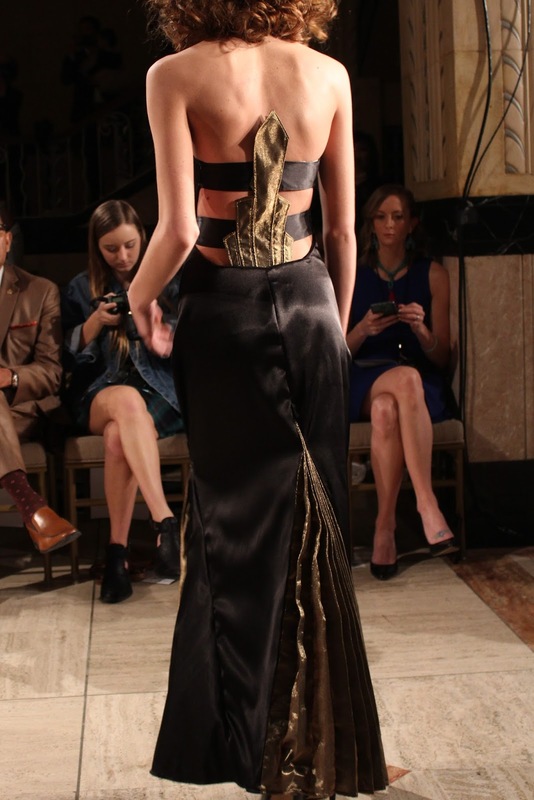 Gold and black dominated the collection in a variety of different fabrics. 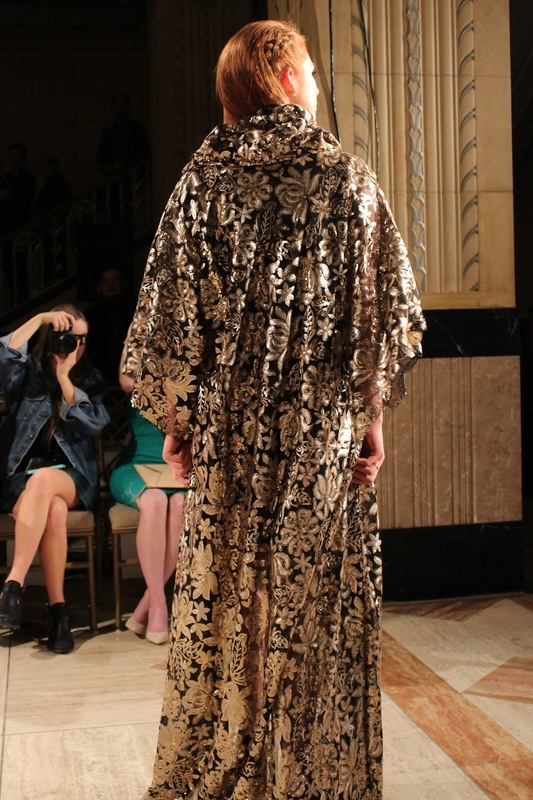 The silhouettes were ultra chic featuring VERY dramatic bell sleeves, mermaid cuts, and floor length capes. 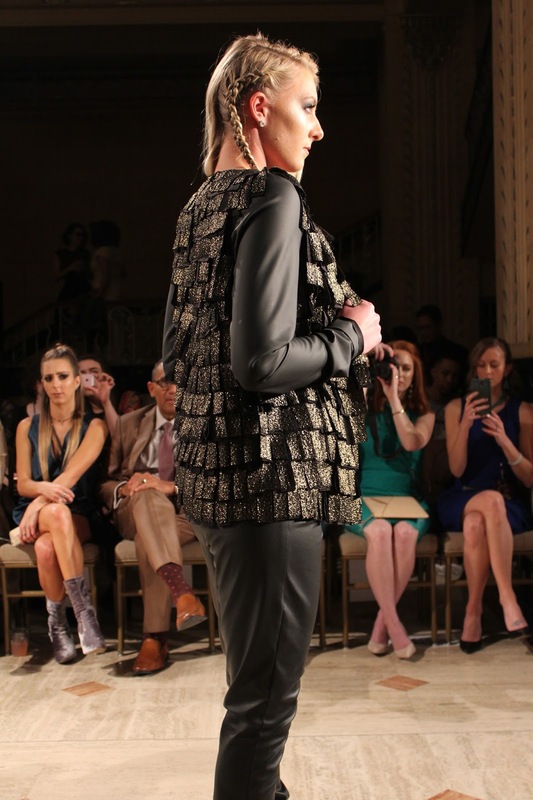 I loved the mixed fabrics and textures and edge to the entire collection. It was all very chic! 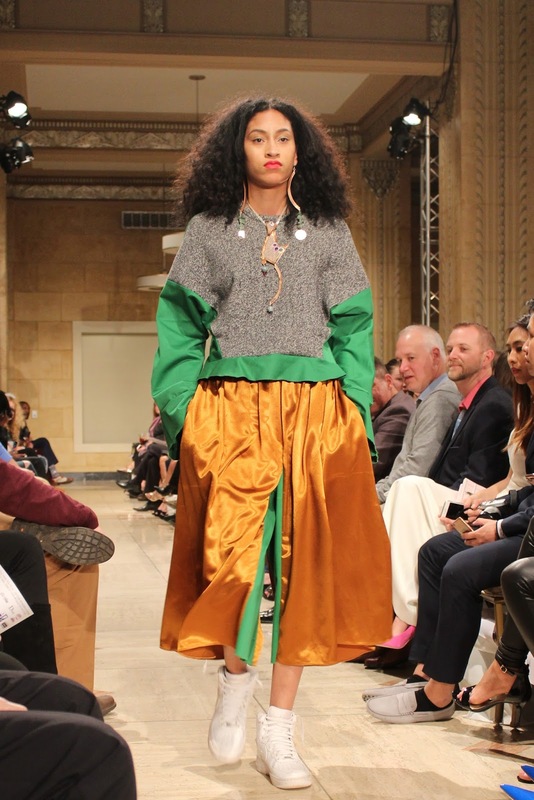 More Than Just Fig Leaves is a New York based line that labels itself as "high fashion clothing for the modest woman. 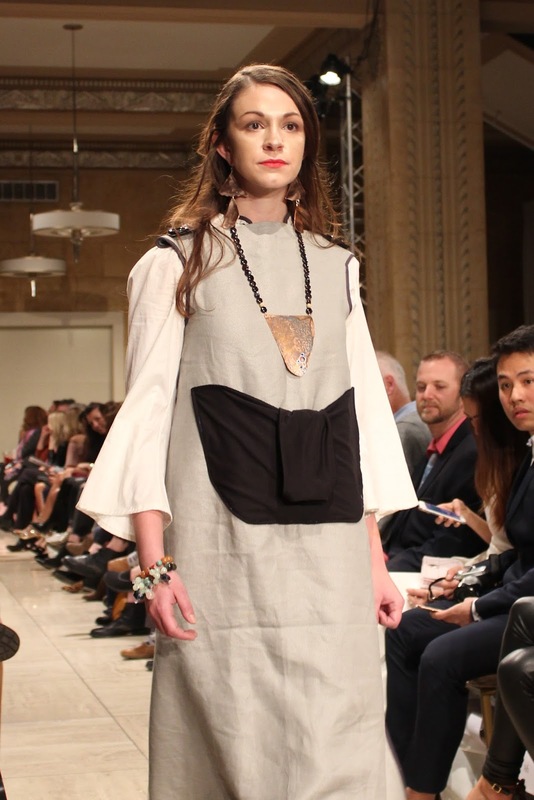 Their KCFW collection was a collaboration with Erin Paige jewelry to create a collection that had an almost primitive flair. 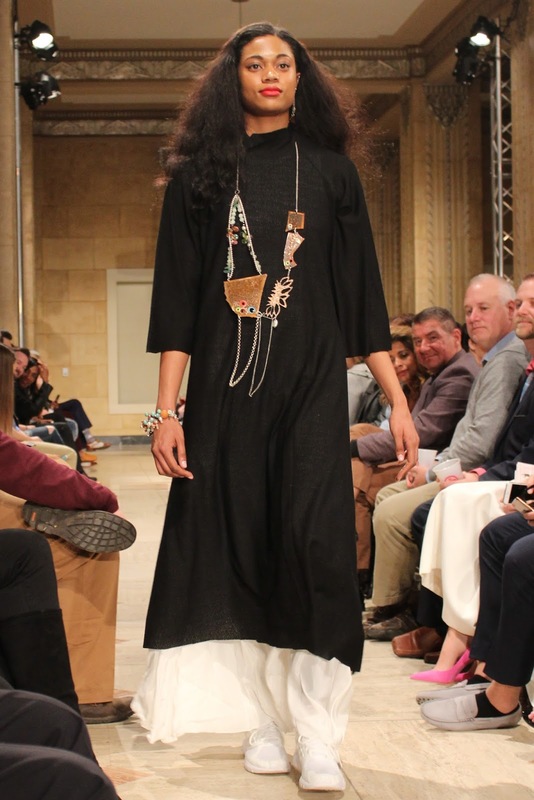 Many of the looks featured bright cheerful patterns and lots of floor length layers adorned with dramatic necklaces and other jewelry pieces. Although this place is probably not cheap, but they are centrally located, have fabulous staff and delicious food, and most importantly, the best views of the city. I would definitely recommend these Seattle venues for any kind of fancy event – all my friends talked about throwing parties here only. There are number of hues and assortment of garments that are worn by various individuals in various districts of world. There are number of various styles, hues, garments and adornments.